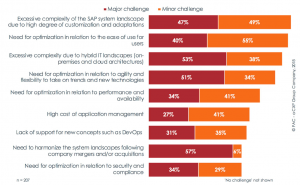 The SAP portfolio is subject to constant change, and this has an impact on the operation of SAP applications in data centers. 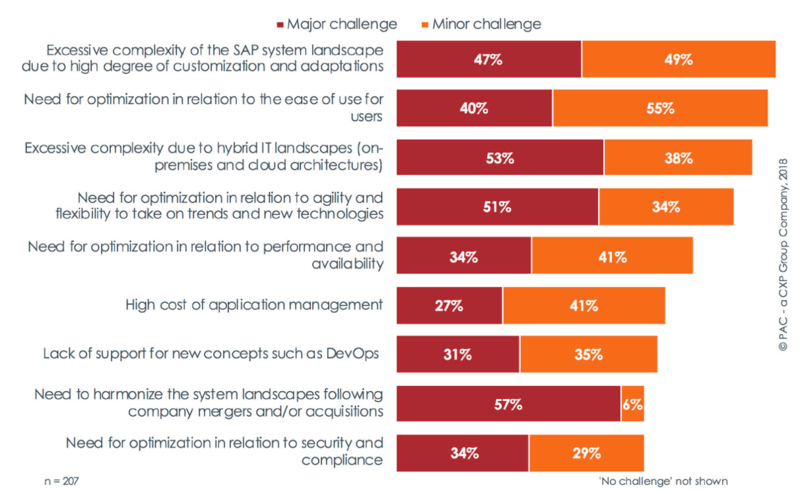 While the management of SAP applications used to be strongly driven by processes and governance considerations, the continuous advance of the digital transformation means that it now also has to provide support for the modernization of the company itself and ensure the successful integration of mobile devices, data analyses, cloud computing, and social media, explains the new PAC Study. Which of the following aspects represent a major or minor challenge? used for the management of your SAP systems? The study document “Application Management in Europe” is available for download at https://itel.li/ams-study-europe-en.